The move to high school can be daunting – more students, more freedom, more choices and more responsibilities. So the Women’s Resource Center, Durango School District 9-R, the Mankind Project and the Sexual Assault Services Organization partnered to help eighth-graders make the transition through the Keys to Success conference. Thursday’s event filled the Fort Lewis College campus with 500 boys and girls from Escalante, Miller, Bayfield and Ignacio middle schools. Kids are kept busy with keynote speakers, three workshops, lunch and a chance to ask high school students anything about what to expect in the fall. The themes for workshops – advocacy, healthy relationships and positive self-image – are based on Colorado’s health and wellness standards. The event has built a reputation, Popp said. The Colorado Department of Education is watching it closely, and this year, representatives from schools and nonprofits from Pagosa Springs; Albuquerque; Las Cruces, New Mexico; and as far away as Detroit attended to observe. It grew out of a girls’ program, Girls to Women, Women to Girls, started 16 years ago by the resource center. District 9-R Superintendent Dan Snowberger wanted to support the effort but thought boys needed a day, too. That led to a new name and a higher degree of collaboration. Healthy relationshipsSASO brings its entire staff to teach two workshops. For boys, it’s Going Out or Hanging Out?, a look at building healthy relationships with girlfriends, friends and parents. For girls, it’s Crossing the Line?, about healthy communications. The event not only runs 24 workshops (12 for girls, 12 for boys) three times each, organizers try to make each team a mix of students from different schools and separate close friends into different groups so teams can meld, said Liz Mora, executive director of the resource center. While the boys’ and girls’ days are not mirror images, they include similar elements. Virtually all facilitators are volunteers, and workshops usually require additional volunteers to manage groups. Angela Grogan, one of her volunteers, who is an FLC student and competitive fencer on the epée, found that to be the challenge. Keep ‘em movingAction is the centerpiece of many workshops. Boys learned aikido for centering oneself and anger management, drumming to understand how to advocate for themselves and others and a low “rope” course using mental, physical and emotional skills to solve people puzzles. For the girls, it was boxing with keynote speaker Jill Morley, writer and director of “Fight Like a Girl,” Kenpo for self-defense and confidence, and the popular Gutsy Girl, learning to use assertive communication. Eighth-graders asked numerous questions, from basics like finding one’s way around sprawling Durango High School and how lockers and lunch work to concerns about harassment and drugs. KeysTo Success Woemns; Resource Enter sponsored Keys To Success program for upcoming High School students was held on the campus of Fort Lewis College Thursday. Woemns; Resource Enter sponsored Keys To Success program for upcoming High School students was held on the campus of Fort Lewis College Thursday. 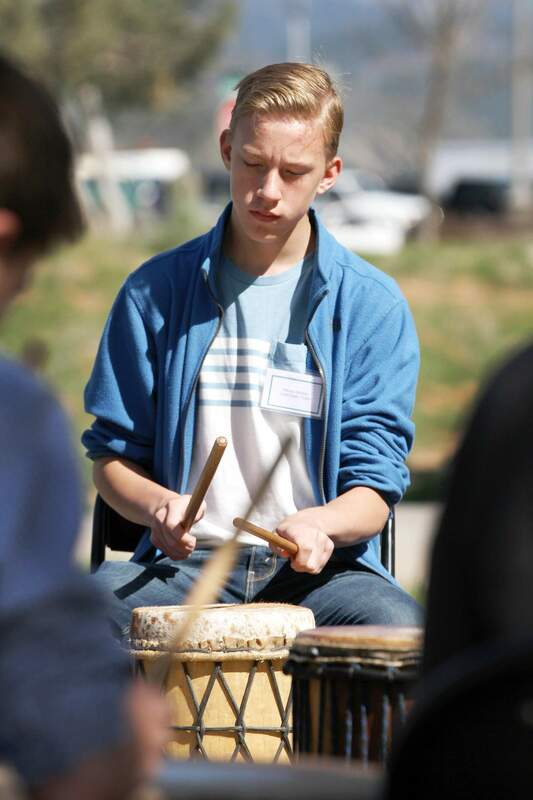 Escalante Middle School eighth-grader Warner Becher drums during the “Rhythm of Your Life” workshop at the annual Keys To Success conference for students preparing to enter high school. The event was held at Fort Lewis College on Thursday. Students asked questions about high school including safety, navigation and how lunch and lockers work. Photo by Shaun Stanley/Durango Herald. Naomi Huffman-Wood, a junior at Durango High School, practices her jab in the session “Fight Like A Girl” on the campus of Fort Lewis College on Thursday during the annual Keys To Success conference for students entering high school. “I encourage you to get involved in a club or sport,” she told the eighth-graders, “because it will help you find your place, figure out who you are, and help you to meet new people.” Photo by Shaun Stanley/Durango Herald. Naomi Huffman-Wood, a junior at Durango High School, prepares a strike in the workshop “Fight Like A Girl” on the campus of Fort Lewis College on Thursday during the annual Keys To Success conference for area students preparing to enter high school. “I usually just keep my books in a backpack,” she told students asking about lockers. “A lot of classes are spread out, and there’s not always time to stop by lockers.” Photo by Shaun Stanley/Durango Herald. Tim Smith conducts the class on Kenpo Karate martial arts on the campus of Fort Lewis College on Thursday during the annual Keys To Success conference for students preparing to enter high school. Kenpo not only gives girls some self-defense skills, it teaches focus, awareness and confidence, he said. Photo by Shaun Stanley/Durango Herald. Documentary filmmaker and national Golden Gloves champion Jill Morley conducts the class “Fight Like A Girl” on the campus of Fort Lewis College on Thursday during the annual Keys To Success conference for La Plata County students preparing to enter high school. “I fight like a girl who refuses to be a victim,” Morley said during her keynote talk. “I fight like a girl who is tired of being ignored and humoured and beaten and raped. I fight like a girl who is sick of not being taken seriously.” Photo by Shaun Stanley/Durango Herald. Vanessa Morgan of Durango Drums conducts a session called “Rhythm of Your Life” during the annual Keys To Success conference for boys preparing to enter high school. The session taught students how to advocate for themselves and others. The event was held on the campus of Fort Lewis College on Thursday. Photo by Shaun Stanley/Durango Herald. Documentary filmmaker and national Golden Gloves champion Jill Morley conducts the class “Fight Like A Girl” on the campus of Fort Lewis College on Thursday during the annual Keys To Success conference for area students preparing to enter high school. “I fight like a girl who has been pushed too far,” Morley said during her keynote address. “I fight like a girl who offers and demands respect. I fight like a girl who has a lifetime of anger and strength and pride pent up in her girly body.” Photo by Shaun Stanley/Durango Herald. 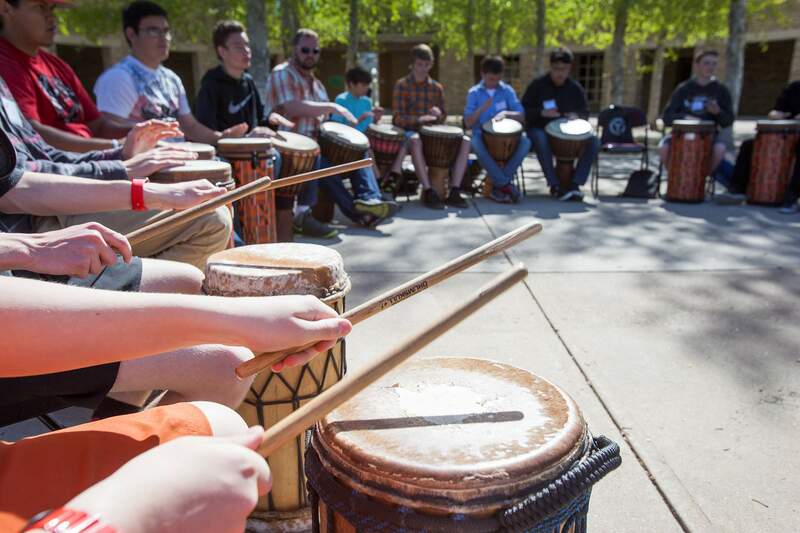 Eighth-graders from La Plata County schools participate in the “Rhythm of Your Life” workshop of the annual Keys To Success conference for students preparing to enter high school held on the campus of Fort Lewis College on Thursday. Students learned how to advocate for themselves and others in the workshop. Photo by Shaun Stanley/Durango Herald. More than 500 eighth-graders from La Plata County participated in the annual Keys To Success program for boys and girls preparing to enter high school. The program was held on the campus of Fort Lewis College on Thursday. At the “Rhythm of Your Life” workshop, boys practiced drumming to learn how to advocate for themselves and others. Escalante Middle School eighth-grader Warner Becher concentrates on his drum during the “Rhythm of Your Life” workshop at the annual Keys To Success conference for students preparing to enter high school. The conference was held at Fort Lewis College on Thursday. 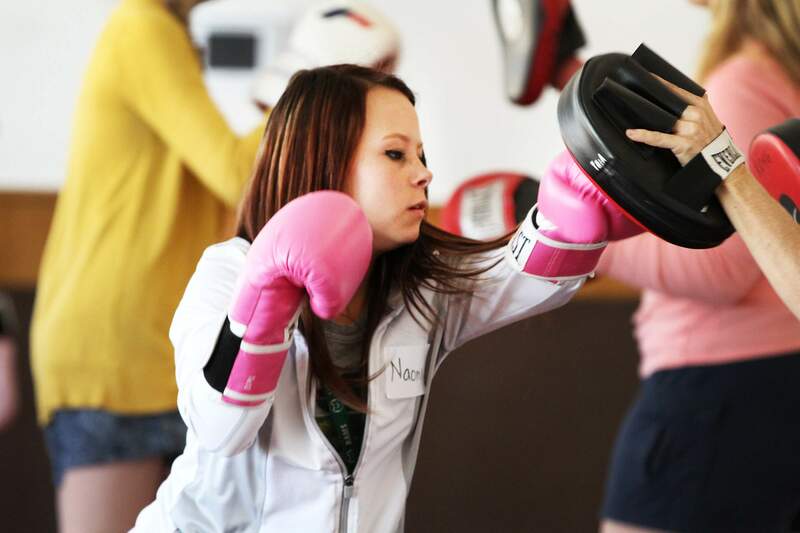 Naomi Huffman-Wood prepares a punch in the session “Fight Like A Girl” on the campus of Fort Lewis College on Thursday during the annual Keys To Success program for eighth-graders preparing to enter high school. A Durango High School junior, she served as a mentor, answering questions about the school.